Last night he closed out the 9th inning for the 16th save of the year. He did it in style, retiring the White Sox in order with one strikeout. He also extended his scoreless inning streak (not allowing a run) to 23.3 innings, putting him in some pretty good company on the Boston Red Sox all time scoreless innings list. Does anyone remember that guy in position number 5 on the list? It does not matter, that is history and Koji Uehara does not look backwards as he is not going that way. Onwards into the postseason seems to be the track he is taking. 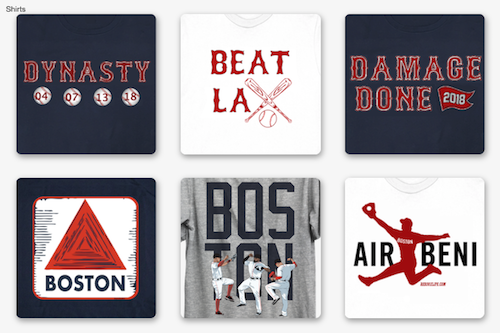 The Red Sox have now won seven of their last eight games and 10 of 14 overall, plus you own the best record in the American League and a (five and a half) game lead over Tampa in the A.L. East. A big part of that has been due to Koji Uehara. Even his fellow battery mates are admiring the quality that Uehara has brought to the closer role this year. 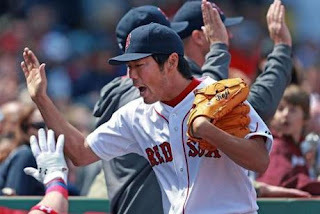 Brandon Workman summed it up best, "It's pretty much `Game Over' when you give the ball to Koji." 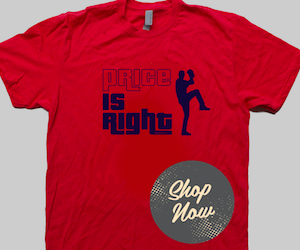 Still have not picked up your Uehara jersey? What is holding you back?